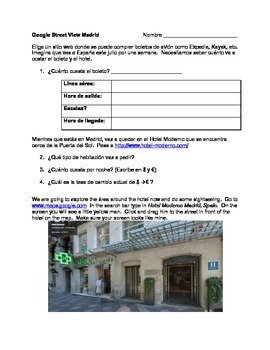 This is a virtual field trip to Madrid that I use with my Spanish III classes. Students choose their flights and then arrive in Madrid. They explore the city using Google Street View. This is so much fun! Using Street View, you can actually walk right into the hotel and even into rooms and onto the balcony. 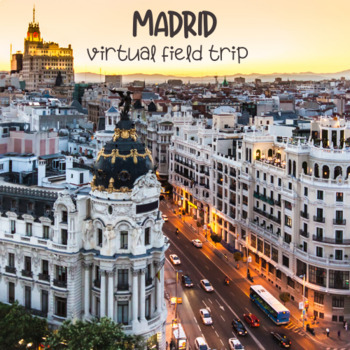 Students will explore the Palacio Real, city streets, and various famous landmarks in Madrid and write about their experiences in Spanish. Check out my Toledo virtual field trip that explores the RENFE website and AVE train as well as the attractions and history in Toledo, Spain.